The Sindia exhibit is expected to be improved with additions of artifacts at the Ocean City Historical Museum. 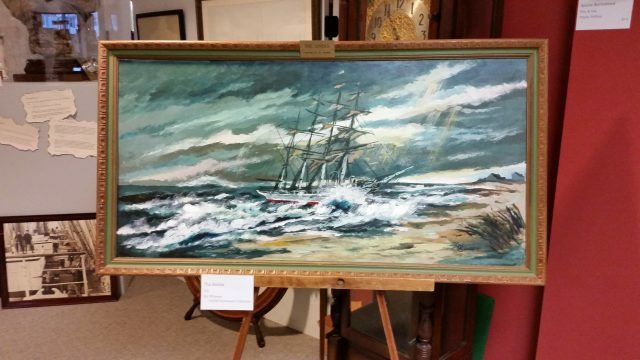 This is an oil painting by the late Ed Wismer depicting the Sindia's final moments as it runs aground in a heavy storm in Ocean City in 1901. 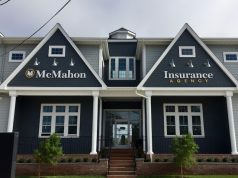 The Ocean City Historical Museum has its eye on the future as it also looks to preserve its past. 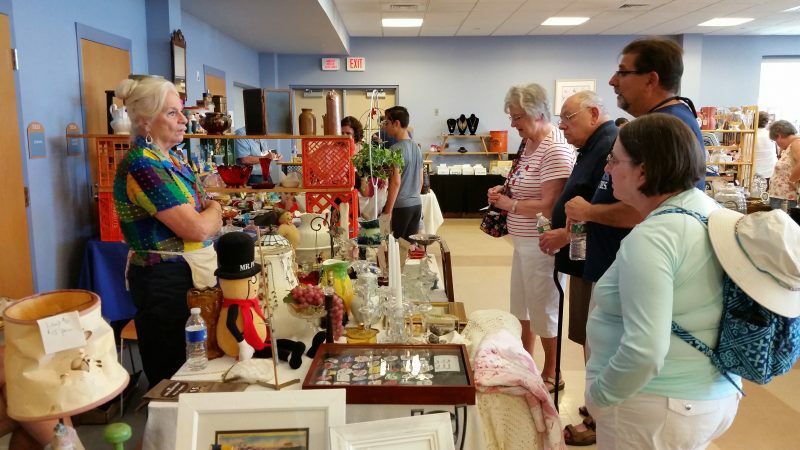 Following the resignation of its longtime executive director Jeff McGranahan back in December, volunteers and members of the museum’s Board of Directors stepped up to continue offering patrons a variety of events and exhibits to showcase Ocean City’s history. 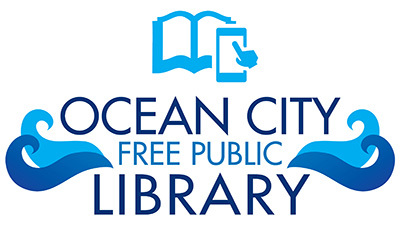 “There is stuff happening all year-round and we will continue to delight the public with Ocean City’s history,” said Carol Dotts, a member of the Board of Directors and an active volunteer. 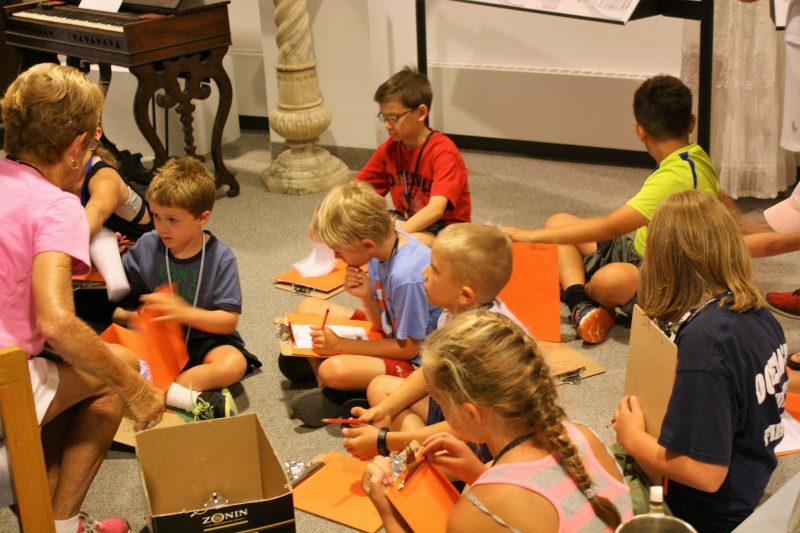 Throughout the year, the museum staff presents new exhibits, myriad children’s events, including history camp, “high teas,” brunches and even a large antiques show. 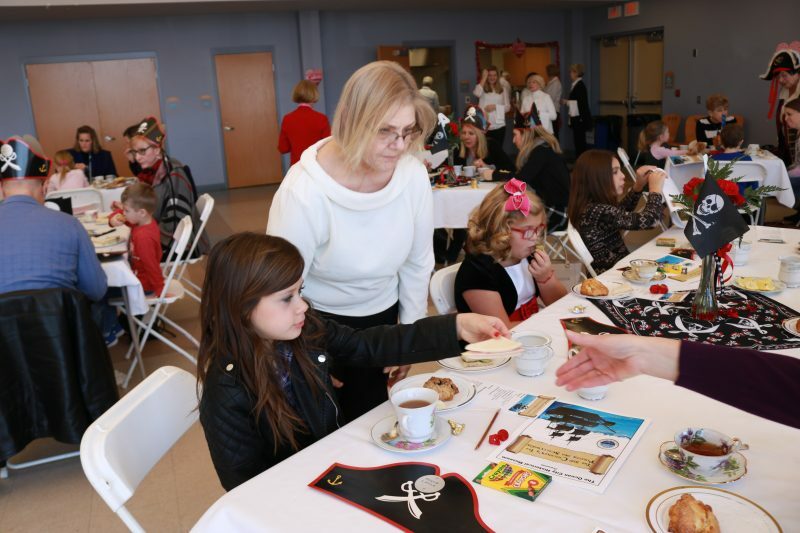 On Saturday, the museum, located inside the Ocean City Community Center at 1735 Simpson Ave., hosted a “high tea” with the theme of “pirates and scallywags,” to the amusement of children. Audience members were entertained by museum volunteers and board members, Babs Stefano and Paul Anselm. 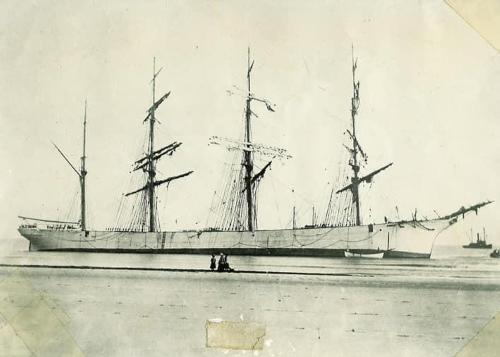 Stefano played a pirate and Anselm portrayed the captain of the ill-fated Sindia ship, which ran aground off Ocean City in 1901. 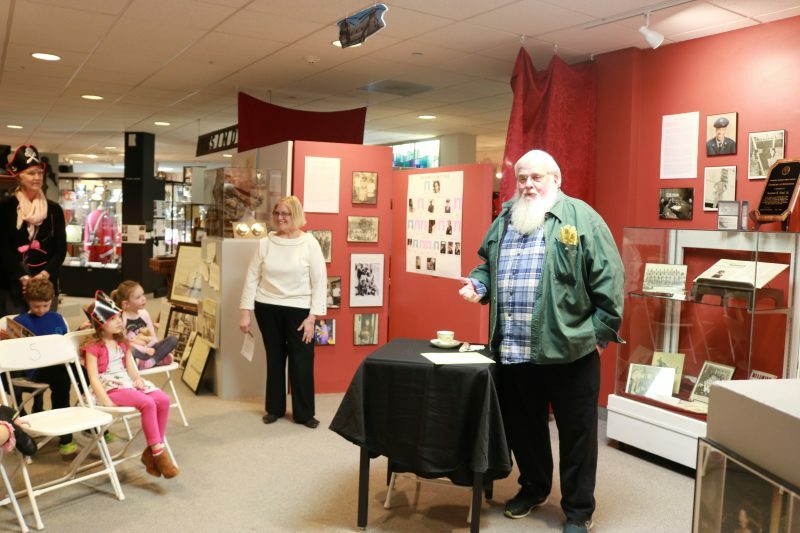 John Loeper, chairman of the museum’s board of directors, starts the “Children’s Tea” program as Carol Dotts, museum volunteer and board member, looks on. 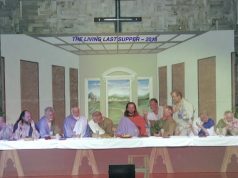 Throughout the year there is a host of activities centered around the museum. There are about 25 very active museum volunteers who help give tours, work in the gift shop and assist during programs, officials said. For “Children’s Tea,” a group of volunteers joined to do everything from coat check to set up and even served the tea and finger foods to about 45 guests. McGranahan managed the staff, volunteers and day-to-day operations of the museum. He was hired in 2012. While it is a bit of a transition since his resignation, museum officials said they are doing just fine. He said the interview process for a new executive director is moving forward. Finding the best candidate for the job is paramount and the museum is not in any rush. “We are out advertising the position,” Loeper noted. Loeper looked around the Stainton Senior Center, where families chatted and enjoyed their tea and finger foods. In his role as executive director, McGranahan oversaw many of the exhibits, special events, fundraising activities and membership drives, among other duties. Dotts said the museum will accept applications through Feb. 22. For information about the position of executive director, call the museum at (609) 399-1801. 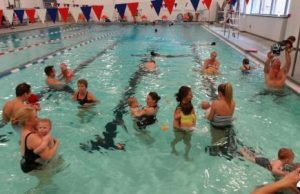 Meanwhile, both Dotts and Loeper said the museum continues to strive to bring in more interesting pieces of Ocean City’s history, intriguing exhibits and other enticing activities to appeal to the public. 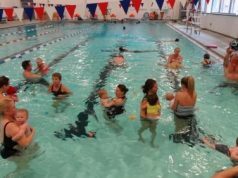 Dotts said the museum volunteers and members of the board of directors are making some improvements to the museum’s offerings. “We are constantly trying to make things great and look to see what’s next on the horizon,” she said. 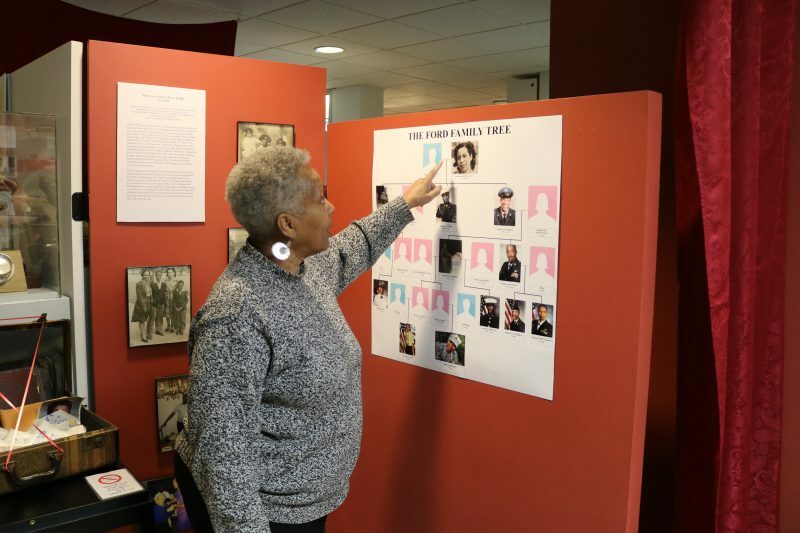 Loretta Harris, who organized the museum’s exhibit for Black History Month, points to the family tree showing five generations of the Fords, an Ocean City family known for military and government service. In addition to serving as a volunteer and board member, Dotts also acts as a registrar for the museum and reviews items donated to the museum monthly. “We want items donated to the museum that tell the story of Ocean City,” Dotts said. An exciting piece of history recently acquired by the museum was a piece of china from the famous Sindia shipwreck. “We got a fabulous piece of Sindia china,” Dotts said describing a vase with two handles. The artifact will be placed in a revamped Sindia exhibit, something both Loeper and Dotts said they were overjoyed about. She said the hope is to present a spectacular Sindia exhibit by the summer. On Saturday, Feb. 16, museum board member Loretta Harris will give a talk at 1 p.m. in the museum about the Ford family, a prominent African American family in Ocean City highlighted as part of a Black History Month exhibit. 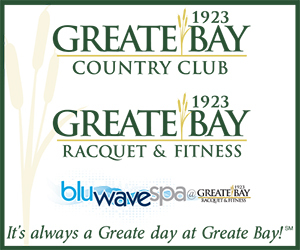 On April 28, the museum will host its annual spring brunch “Snow, Ice and Sand” at Clancy’s by the Bay in Somers Point. Loeper will be the featured speaker. Details will follow. The museum is open Monday through Saturday from 10 a.m. to 4 p.m. and closed Sundays. For more information visit www.ocnjmuseum.org or on Facebook. The Antiques Fair hosted by the museum each year packs in the crowds.